In a recent blog, we discussed how to emotionally cope with weaning your child. Now comes another arduous task; knowing how to begin the weaning process! Weaning your child from breastfeeding can be one of the most emotionally draining experiences – for both mom and baby! Initially, even knowing when to make the call to begin weaning is difficult. However, if you have decided it is time to wean your baby, Breastpumps & Beyond has the perfect set of tips for you! Our eight, helpful pointers will hopefully help you make the transition as seamless as can be. Read on below now for more! One of the first things to begin doing is distracting and diverting your child’s attention during usual feeding times. Try substituting breastfeeding with their favourite snack. Or, divert their attention away from feeding through one of their favourite activities or games. By postponing your feeds, you will begin to make them shorter and less frequent. This will help your baby become accustomed to shorter feeding periods, hopefully making the transition easier for them. The worst thing you could do emotionally, mentally, and physically is go cold turkey on breastfeeding. This will not only be emotionally draining on you but may also upset your little one substantially. Also, this could lead to physical complications for you resulting in things such as blocked ducts, and engorged breasts. A huge reason why many children breastfeed is for the sense of comfort is gives them. Therefore, try replacing the intimacy of feeding with pure cuddle time. Comfort your baby by hugging them whilst reading a book, or simply sitting together in your favourite chair. Saying no as a mom is totally ok. Understandably, you may feel guilty for declining your child’s requests to feed. But you have made the decision to stop this leg of your journey with them. Be kind to yourself and remind yourself that it is completely ok for you to have chosen to say no to breastfeeding. Ending the breastfeeding journey is a complete emotional rollercoaster. Sadness will definitely make an appearance throughout this process. Therefore, welcome it in. your heart will need a time to grieve your decision, and this is completely acceptable. Keep in mind that sometimes, your breastfeeding journey could come to a completely unexpected halt due to unforeseeable circumstances. With this knowledge, plan ahead by pumping and storing your breastmilk should a complication ever arise. 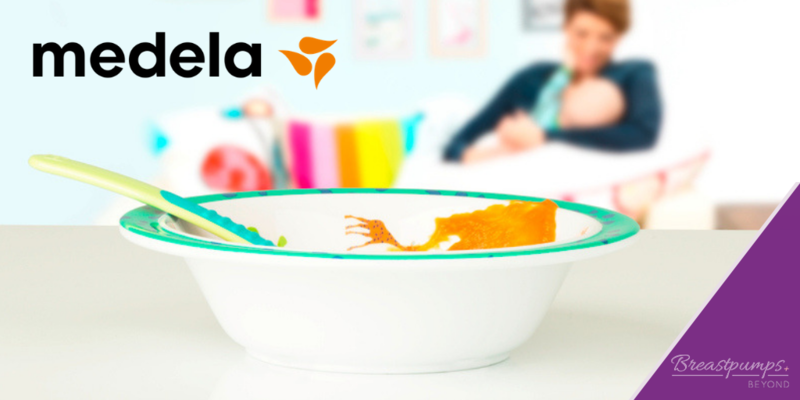 This will allow you to continue to feed your child with your own milk, even though you can no longer express it. Remember, you won’t only need to wean your baby from breastfeeding. You will also need to slow down your own milk production. It is important that you continue to express during this time to avoid engorgement or blocked ducts. But express only enough to be comfortable. Soothe your breasts with ice packs or a cold compress if need be.